“New Year, New You” is a phrase that may be overused, but when it comes to health there’s really no better time to make a change. Metropolis helps you jump into action with the city’s best fitness options. 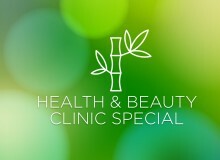 10-week Transformation Package campaign for only ¥88,000! Further discounts if you sign up with a friend! Following all of December’s parties and food, January is the perfect time to turn over a new leaf and start burning off some of that holiday padding. With a network of over 700 gyms in 30 countries around the world, Gold’s Gym has become synonymous with weight training. With 48 gyms across Japan, including Tokyo-area locations such as Shibuya, Omotesando and Ginza, there’s no reason you can’t maintain a training regimen here. Most gyms are open from early in the morning until late at night and the ones in Harajuku, Oimachi, Gyotoku, Atsugi, and Omiya are open 24 hours—so you can train stress-free whenever you want. 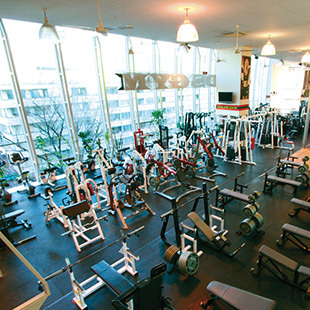 A variety of traditional and modern equipment is available and the machines are suitable for both beginners and experienced lifters—plus the Japan locations carry as many free weights as you’d find in any U.S. gym. Make a fresh start in 2015 with the help of Gold’s Gym. Drop-in session only ¥1,080 for Metropolis readers [once per person, ID (passport, alien registration card, or insurance card) with your current address is required, valid until February 28]. Nikkei Esplanade 1F, Naka-Magome 2-8-1, Ota-ku. Friday 11am-1pm and 6-8:30pm. Nearest station: Magome. Need an energy boost before your long office hours? How about morning yoga in a beautiful, sun-filled studio? Want to make your Sunday more fulfilling? Enjoy soothing yoga after Sunday brunch at Omotesando to release your stress. Want to tone your body for that new dress? Energizing power yoga will help. 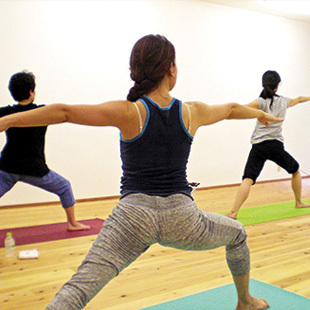 K YOGA, just two minutes from Omotesando station, provides weekday-morning yoga, Sunday English yoga, Power yoga, and more. The instructors are all cheerful and competent. One just returned from teaching yoga in Hong Kong while another is very experienced leading teachers’ training. Everyone is welcome, beginner or experienced, female or male. The studio’s floor is made of natural cedar, providing pure, clean air that makes you feel as if you’re in a deep forest. No reservation required. One class costs only ¥1,800. English/Chinese spoken Whenever you feel like practicing yoga, just drop by and join! All drop-in, no reservation required. One class costs only ¥1,800. English/Chinese spoken. Whenever you feel like practicing yoga, just drop by and join! Book your trial lesson (¥1,800) and get one FREE ticket! MagaGym teaches Krav Maga, a realistic system of self defense developed by the Israeli military that’s used today by FBI and SWAT teams across America. At their recently opened, brightly-colored gym, just a four-minute walk from Roppongi station, MagaGym’s top-level black belt instructors will teach you the art and knowledge of staying safe in a way that’s both fun and, at times, intense. Known for its focus on real-world situations, Krav Maga theory is based around the understanding of natural human reflexes, so it’s easy to learn regardless of age, gender or body type. One of the world’s most effective self-defense systems, it’s useful against opponents with knives, guns or other weapons, and its practice incorporates realistic fight training. Instruction comprises both aerobic and anaerobic exercise, leading to greater physical fitness, higher self-confidence and a huge boost in self-esteem. Recover your physical and mental condition using the Pilates method of fitness training developed in the early 20th century. Natakara Pilates provides personal training in small groups matched best to the each person. Far from the standardized training provided by big sports gyms, their method provides several kinds of exercise to build up the core of the body, abdominal muscles, back and limbs using mats and special machines. Many people use Pilates as a rehabilitation method because it’s able to align the tension and balance of the muscle thus helping them learn the right position and practical movement. The studio is just a two-minute walk from the Sangenjaya station on the Tōkyū Den-en-toshi Line. Special price ¥1,500 for the first session if you mention Metropolis. 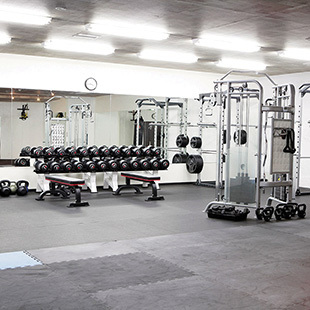 The Tokyo Metropolitan Gym, conveniently located near Sendagaya station, offers everything you need to get in shape and start the year off right. This athletic facility provides swimming lessons, fully-equipped gyms for cardio training, resistance machines and weights as well as a studio for yoga, aerobics, pilates and other fitness programs. The TMG intermediate and advanced swimming classes are supervised by coaches from Kitajima Aquatics, established by Japanese Olympic medalist Kosuke Kitajima. To combat the fatigue and stress of work’s daily grind, the gym also provides relaxing and rejuvenating massages and other muscle treatments. If that’s not enough to get you motivated to stick to your New Year’s resolutions, then the price should really pump you up: use of the pool, gym and studio programs costs only ¥600 for two and a half hours. At that rate, you can’t afford not to get yourself in top condition this year! 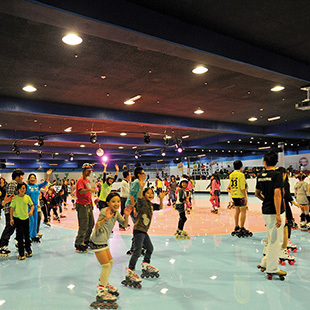 Even during the cold of winter, Tokyo Dome Roller X Skate Arena is warm enough for just one short-sleeve shirt! The king of dieting, roller skating burns 913 calories per hour according to research. That’s the same as running a marathon! It’s good to run in the morning, breathing cold, crisp air, but isn’t it better to burn fat while having fun inside a warm arena? If you start now, you’ll be able to do techniques like dance, two-step, slalom, hockey, speed, and more by spring! You can enjoy roller skating whether you’re a kid or an adult while our exclusive DJ plays oldies and hit songs! The “Roller Dance Lesson” is the most popular, and they have classes with around 30 participants. The “Eight-Step Lesson” is held every month and the “’80s Euro Beat Night” lets you get your groove on. They also have Japan’s top dancer, “Kz crew CHIKA,” teaching her “Chika’s dance lesson.” To take dance lessons, please make reservations beforehand or on the day of the class by phone or at the front desk. For beginner lessons, please reserve two or more days in advance. Payment is due on the day of the lesson. Mention or bring Metropolis to receive ¥200 discount on your entrance fee. TokyoFit is the cure for those tired of the impersonal modern gym and seeking a new workout experience. 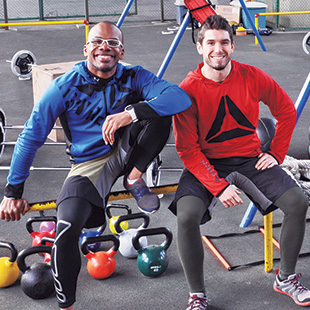 During the one-hour cross-training sessions you’ll lift barbells, swing kettlebells, whip battle ropes, toss medicine balls, and sprint in the fresh air. Exercise shouldn’t feel like a hated obligation done to appease your guilt. TokyoFit believes fitness should be fun, interactive, rewarding, and affordable, so they built a space that makes people excited about their evening workout. The sessions develop flexibility, cardiovascular/muscular endurance, strength and power, all with the goal of helping you sleep more deeply, have more energy throughout the day, and reach the level of fitness you deserve. A healthy body cultivates a positive mind. 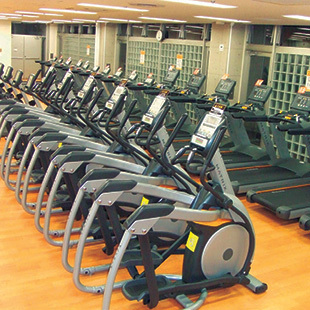 TokyoFit also offers corporate classes based on the needs of the employees and the space available. Fitness can happen in a nearby park or in an empty office room. Try something new in 2015! Getting fit can leave you with an appetite, but it’s important not to undo that hard work. Healthy food is a must and Aloha Table Natural has a menu that will not only satisfy that post-workout hunger but also make your mouth water. 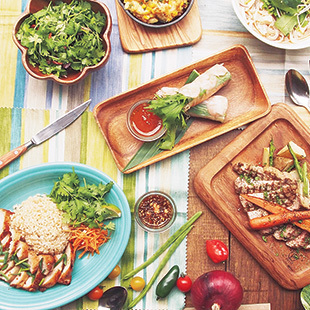 Representing a more organic evolution of the multinational Aloha Table Hawaiian dining chain, Aloha Table Natural offers cuisine that’s more Pacific than Hawaiian in a delightful atmosphere. Sitting on soft chairs set beneath ceiling fans, you won’t notice the time go by; but you will notice the delectable dishes such as the lomi lomi salmon (¥680), ahi poke (¥720) or coconut mochiko fried chicken (¥680). If you prefer to dine outdoors, two small terraces—one of which is entirely non-smoking (there’s no smoking anywhere inside)—are a perfect match for the natural flair of the cuisine. And don’t forget to check behind the bar, where you’ll find a sizeable secret sofa lounge, perfect for winding down after that workout. Yamada Bee Farm began selling Royal Jelly in 1960, when the daughter of the current chairman was born with a congenital heart disease. Determined to “let her grow cheerfully and let her have the surgery of her heart,” he developed the production method of royal jelly on his own. Yamada Bee Farm provides products and services to each customer as an irreplaceable one and only person. Royal jelly, propolis, honey, bee pollen, beeswax and all honeybee products are valuable natural ingredients that have supported health since ancient times. Yamada Bee Farm has crafted apitherapy by taking advantage of the health blessings of honeybees to provide safe, high-value products you’ll want to introduce to your own family. 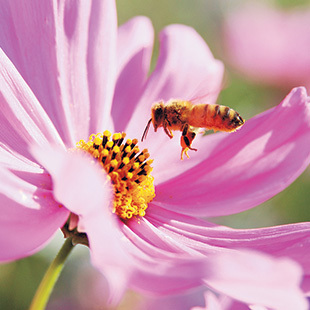 Yamada Bee Farm is dedicated to the pursuit of quality, allowing people to apply apitherapy to their lifestyle. Burning based diet to increase metabolism! Inquiries accepted in Japanese, English, and Chinese.